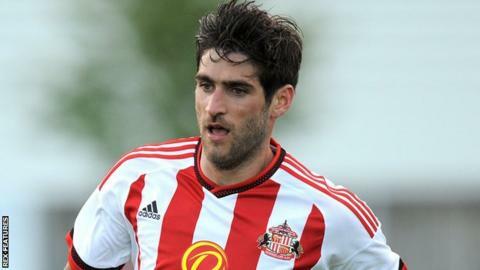 Blackburn Rovers are set to sign striker Danny Graham on loan from Premier League side Sunderland until the end of the season. Graham joined Sunderland from Swansea in 2013 and has also spent time on loan with Wolves, Hull and Middlesbrough. The 30-year-old could join Championship club Rovers on a permanent basis at the end of the season. Paul Lambert's side are 18th in the table and without a win in their last six league games. However, midfielder Chris Taylor believes reaching the FA Cup fourth round can help revitalise their league form. Taylor, 29, made his first appearance for nearly a month in the 2-1 win over Newport County in south Wales on Monday. "When your time comes, you have to shine and obviously results haven't been good lately," he told BBC Radio Lancashire. "I bet the gaffer feels like everything is stacked up against him at the minute, but we didn't expect anything less." Taylor has found opportunities limited since the arrival of boss Paul Lambert, but says Rovers need to persevere in the second half of the season. "I've been excited by his arrival. I found myself out of the team in the last few games but that's football, you've just got to get on with it and grit your teeth. "We're struggling and we want to push on towards the right end of the table now. We've fallen quite a bit behind the play-offs, but we need to push on."